Rare Find RX7 Seats are never this nice. JDM 93-98 Mazda RX-7 FD3S OEM Front Cloth Seats. Important Note To the port of your city. Used seats not perfect may need recovery greatfor that modification. Off a 1990 Mazda Rx7 GTU coupe with automatic transmission. JDM Mazda RX-7 OEM Rear Seat Top Bottom Conversion 1987-2002 RX7. Condition is Used. Slight and small spot staining on the seat cloth as shown. Contact for further details. These were used then removed from an 1997 RX-7. Local pick-up or meet anywhere 100 miles from 01503. 91 Mazda Rx7 convertible non turbo with automatic transmission. We want you to be 100% happy with your order. FULLY RECLINABLE WITH DOUBLE LOCK SLIDERS. 2 BLACK RED STITCH. RED STITCH. RACING SEATS. These seats are designed for universal fit. PVC LEATHER- BLACK . 1 Pair (1 Right and 1 Left). 34 lbs EACH. Mazda Rx7 rear seat FB . Condition is Used. This is a very HTF seat for a 1980 FB Mazda Rx7. No longer available this seat has become very sought after, many have settled for the second gen FC rear seat but now your chance to own an OE fitment rear seat for your FB from Pacific Avatar. Seat will come with all hardware, seatbelts and LH arm rest. Please view pictures carefully before buying no returns accepted. Any questions please don't hesitate to message. Brown first generation rx7 seat bottom drivers side. Set of bucket seats removed from a 1985 RX7. They are in good shape for there age. These will fit 1984 and 1985 RX7. Should also fit 81, 82,and 83 but make sure to do your research on that. JDM 1989-1992 MAZDA RX-7 FC 13B SEAT. Failure to do so will null and void any warranty due to engine failure. External parts of the engine such as, power steering, starters, hoses, flywheel, clutches, wiring, gaskets, sensors, and ECU. FULLY RECLINABLE WITH DOUBLE LOCK SLIDERS. 2 BLACK PVC LEATHER RACING SEATS. PVC LEATHER- BLACK. These seats are designed for universal fit. We do make custom brackets for any model of vehicle. 35 lbs each. Was removed from a 1988 Convertible Model, VERY RARE. Was removed from a 1988 Mazda RX7 Convertible. This is apair of front left and right seat rails r emoved from an 91 Mazda Rx7. 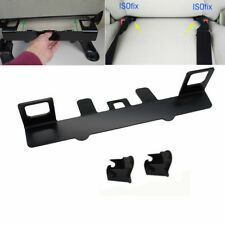 SHOULD fit 89-91 Mazda Rx7. . 86-91 Mazda Rx7 OEM front L R seat rails mounts brackets railings x2. a pretty image. FULLY RECLINABLE WITH SLIDER. 2 BLACK RED RACING SEATS. These seats are designed for universal fit. 1 Pair (1 Right and 1 Left). CLOTH- BLACK RED. 34 lbs EACH. FULLY RECLINABLE WITH SLIDER. 2 BLACK YELLOW STITCH. YELLOW STITCH. RACING SEATS. These seats are designed for universal fit. PVC LEATHER- BLACK . 34 lbs EACH. FULLY RECLINABLE WITH SLIDER. 2 BLACK CLOTH RACING SEATS. CLOTH- BLACK. These seats are designed for universal fit. using your old hardware(brackets) from the original seats. but adaptors (brackets) are not included. FULLY RECLINABLE WITH SLIDER. 2 BLACK CLOTH RACING SEATS W/ SLIDERS. These seats are designed for universal fit. CLOTH- BLACK. 1 Pair (1 Right and 1 Left). 35 lbs each. Off an 1988 Mazda Rx7 Coupe 2 seater with manual transmission non turbo. We want you to be 100% happy with your order. FULLY RECLINABLE WITH SLIDER. CLOTH- BLACK BLACK STITCH. 2 BLACK BLACK STITCH RACING SEATS. These seats are designed for universal fit. 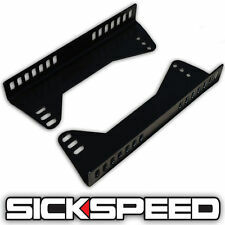 We do make custom brackets for any model of vehicle. 34 lbs each. FULLY RECLINABLE WITH SLIDER. 2 BLACK GRAY CLOTH RACING SEATS. CLOTH- BLACK GRAY. These seats are designed for universal fit. using your old hardware(brackets) from the original seats. 1 Pair (1 Right and 1 Left). FULLY RECLINABLE WITH SLIDER. 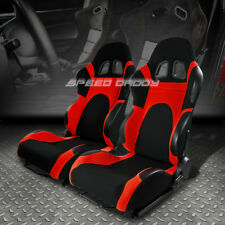 1 PAIR BLACK & RED 2 TONE PVC LEATHER RACING SEATS W/ SLIDERS. These seats are designed for universal fit. PVC LEATHER- BLACK & RED. 35 lbs each. FULLY RECLINABLE WITH SLIDER. 2 RED PVC LEATHER RACING SEATS. PVC LEATHER- RED. These seats are designed for universal fit. FC3S front gray leather seats with rails. FULLY RECLINABLE WITH SLIDER. 2 RED CLOTH RACING SEATS. These seats are designed for universal fit. 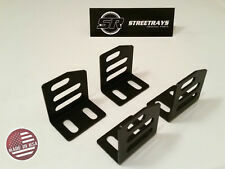 We do make custom brackets for any model of vehicle. 34 lbs each. FULLY RECLINABLE WITH SLIDER. PVC LEATHER- BLACK & BLUE. 2 BLACK & BLUE RACING SEATS. These seats are designed for universal fit. 1 Pair (1 Right and 1 Left). 34 lbs each. FULLY RECLINABLE WITH DOUBLE LOCK SLIDERS. 2 BLACK PVC LEATHER RACING SEATS. PVC LEATHER- BLACK. These seats are designed for universal fit. 1 Pair (1 Right and 1 Left). 34 lbs EACH. FULLY RECLINABLE WITH DOUBLE LOCK SLIDERS. 2 BLACK RED STITCH RACING SEATS. CLOTH- BLACK RED STITCH. These seats are designed for universal fit. 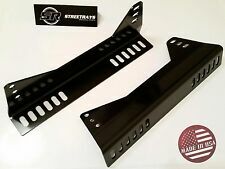 We do make custom brackets for any model of vehicle. FULLY RECLINABLE WITH DOUBLE LOCK SLIDERS. PVC Leather(BLUE Area). 2 BLUE & BLACK LEATHER RACING SEATS. These seats are designed for universal fit. 1 Pair (1 Right and 1 Left). Suede(BLACK Area). 35 lbs EACH. FULLY RECLINABLE WITH SLIDER. 2 BLACK BLUE STITCH. BLUE STITCH. RACING SEATS. These seats are designed for universal fit. PVC LEATHER- BLACK . 34 lbs each. The Planted seat bracket is made with 3/16" steel for superior strength. It is built to accept sliders from most major seat manufacturers like Bride, Cobra, Corba, Momo, OMP, Racetech, Recaro, Sparco, Status and more. Rx7 FC3S JDM Rear Seats. Everything included for install, such as seat belts, bolts, washers, brackets, etc. Pristine condition. Black color so they match any interior color. These are super rare so get them while you can! A black left suede seat in excellent shape.